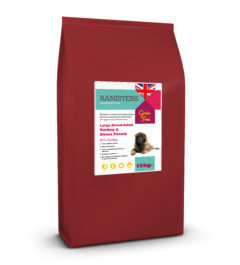 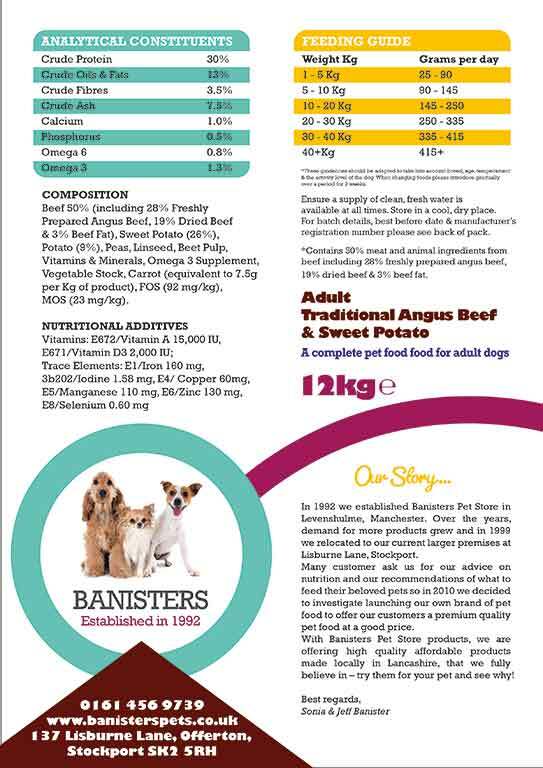 Natural, complete 8c balanced pet food for adult dogs. Vet approved gentle formula. 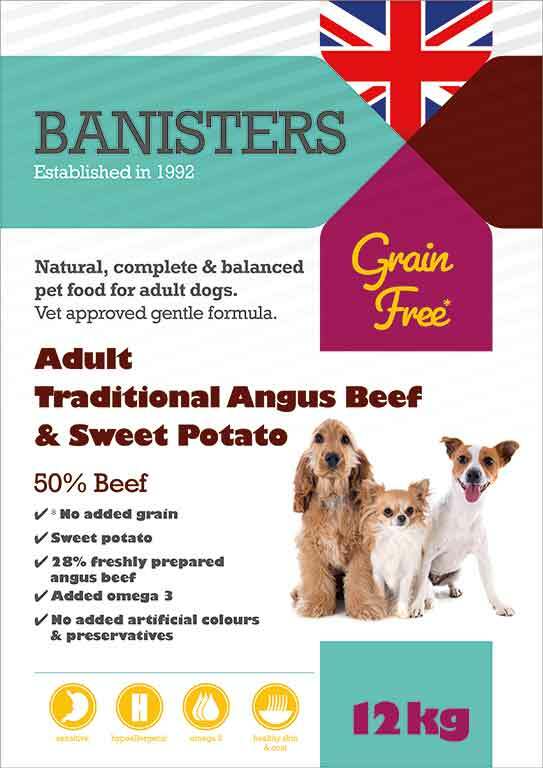 Contains 50% meat and animal ingredients from beef including 28% freshly prepared angus beef, 19% dried beef & 3% beef fat.